▫▫ Download Booklet in PDF format. Appropriately entitled, “You Are All Brothers”, a quote from Mt 23:8, this booklet attempts to provide some basic orientations regarding Brother formation in the Society of the Divine Word. These orientations have been worked out by a special commission composed of General Councillor Br. Alfonso Berger, Generalate Secretary for Formation and Education Thomas Malipurathu, and Br. Guy Mazola who was especially invited to come from our Congo province to form part of the commission. As the commission itself underlines it in the Introduction, the intention of this booklet is not to provide a complete Brother Formation Program. Its intention rather is to offer orientations for the development of a program of Brother formation which is attuned both to the charism of our Society and the signs of the times in a province or region. It is addressed primarily to confreres, Brothers and priests, who work in vocation promotion and formation, and those responsible for preparing Brother formation programs. The commission based its work on a number of materials, namely, the responses to the Discussion Paper on SVD Brother formation that was sent earlier to all SVD formators, the different Brother Formation programs currently in use in some of our provinces and regions, various Society documents on Brother Formation, and other similar documents. The draft of this booklet was discussed several times in the general council and finally endorsed at its meeting on January 27, 2005. I wish to thank the members of the special commission for the time and effort that they invested into this work. It is my hope, and surely theirs as well, that this investment will bear fruit in the development of solid and up-to-date Brother Formation programs in our provinces and regions. The booklet includes as an appendix an interesting overview of the situation of our Brothers in the Society today prepared by Bro. Alfonso Berger. If we go simply by the statistics, then there seems to be reason for concern. The number of Brothers in the Society has dropped to a mere 12.5% of our total membership. Br. Alfonso projects that this proportion will further drop to around 10% in the coming years. He states that in 2004, of our young confreres in temporary vows, only 7.3% were Brothers while 92.7% were clerics. Fortunately, numbers are not everything. Beyond the numbers, there are also certain signs of hope. Br. Alfonso mentions three in particular: (1) Brothers in the Society have continued to give a joyous witness to the consecrated life by their lives and work as committed religious; (2) more and more Brothers have recently been elected or appointed to important leadership positions like vice-provincials, provincial councillors, local superiors; and (3) there seems to be a revival of Brother vocations in some provinces and regions like Indonesia, India, Brazil, and Argentina. Indeed, I believe it will be unrealistic to yearn for the return of the days when our communities or houses were brimming with Brothers. While we should never slacken in our efforts at the promotion of Brother vocations, at the same time we realize more and more that the future of the Brother vocation in our Society will be determined not by how many Brothers we will have but by how convincingly they live their vocation as Brothers, no matter how few they may be. To this end, we need to pay greater attention to our formation programs for Brothers. Indeed, it has been the enduring insight of several general chapters and Brothers’ assemblies that the fundamental need today, in the area of Brother Vocation in our Society, is a truly reliable and responsive Brother Formation program. Only Brothers who are adequately formed can live the Brother vocation in a convincing way. And only Brothers who live their vocation convincingly can attract young men to join them in the SVD. Obviously, however, the situation of the Brother vocation in the SVD is the concern not only of the Brothers but of everyone in the Society. The clerics in the Society are called to be concerned as well with this situation. Everyone is called to actively support the Brother vocation in the SVD. And perhaps the best support is heeding the challenge of the Brothers among us, that is, that “we are all Brothers” and thus striving to live that truth in all our communities. Knowing the importance of Brothers in our Society, we recommend that all levels of administration continue their efforts to foster knowledge about the Brother vocation and promote its development in the Society. We recommend further that Brothers be encouraged to choose, and to become professionally competent in, ministries which are directly part of the fourfold prophetic dialogue and of the characteristic dimensions of our SVD commitment (In Dialogue with the Word [IDW] 1/2000, No 104). May this booklet help us in our “efforts to foster knowledge about the Brother vocation and promote its development in our Society”. In May 2003, Br. Alfonso Berger, after discussing the matter in the general council, sent a discussion paper on SVD Brother formation to all the formators. The main reason for that initiative was the concern about the absence of adequate formation programs for Brothers in some provinces/regions. In some cases the programs were not updated, in other cases there were no programs at all. Some formators, however, sent in their reactions. In December 2003, he presented these reactions to the discussion paper on SVD Brother formation, as well as some updated programs, to the general council. After the planning session of the generalate in January 2004, the general council concluded that the process of updating Brother formation programs should continue. For this reason a letter dated 14 May 2004, entitled Following up the SVD Brother Formation Program (SVD 4b/041172) was sent to the formators. In June 2004 Br. Guy Mazola (CNG) was requested by the general council to come to Rome in order to be part of a commission, together with Fr. Thomas Malipurathu, the Secretary of Formation and Education at the generalate, and Br. Alfonso Berger. The task of this commission was to prepare a booklet on SVD Brother Formation and other related materials to be posted on our website for formators’ use and to motivate provinces/regions to continue to review their programs for Brother formation. This booklet is the result of many exchanges of information on SVD Brotherhood between the provinces/regions and the generalate. Through it, the commission wants to present a summary of the main contents and activities by stages of Brother formation. It is offered as a tool that can help the provinces and regions update their formation programs for Brothers. Therefore, it is not intended to give a complete program for Brotherhood in the Society. The main intention is to offer motivation and orientations based on the responses to the discussion paper, on the available Brother formation programs at the generalate and on other documents, in order to improve the formation program for Brothers in the provinces/regions. SVD formators may use this booklet as a reference source for Brother formation in their meetings and informal talks with prospective SVD candidates, when they present the two options of serving the Lord in our Society as priest or Brother. This may also be a helpful means for those working in vocation promotion in presenting a clear idea about Brother formation in the Society. It is hoped that at the different levels (provinces/regions and zones) this booklet will be used as a help to develop suitable programs for our Brothers. In carrying out this initiative, consideration should be given to the missionary challenges that our Society is called to face in order to witness to the Kingdom of God. It is important to keep in mind that there is no intention to make a uniform program for all provinces and regions. The purpose of this booklet is to encourage all provinces and regions to have an updated Brother formation program. What we present here is a concrete outline to support such a task. As soon as this task is achieved, after approval by the competent authority, kindly send a copy to the generalate, in order to enrich the different formation programs that are available in the Society and posted on our website. To obtain further information about the different SVD Brother formation programs, visit our SVD website: www.svdcuria.org (under Formation) or send your request to the generalate (in the event that you cannot access the website). The programs posted on the web are in their original languages. However, provinces and regions can be requested, if necessary, to translate their program into one of the official languages of the Society. Looking back on our history as a congregation, three principal stages of the development of the Brothers’ vocation can be identified. The first stage would be from the founding (1875) to the Second Vatican Council (1962-1965). During that period the SVD Brother was considered as “a consecrated person who dedicated his life to the mission of the church through his manual work” (The Brother Vocation Today, Analecta SVD 70/1, 1995, p.74). Despite the significant contribution he made in the mission, he was considered as a helper of the priests who were considered as the principal agents of mission at that time. Later, with the Second Vatican Council, the focus of the church’s mission changed. The goal was seen more in terms of serving the Kingdom of God than of merely implanting the church. The second stage, between 1965 and 1982, coincided with one of the most critical periods of our Society in general, and of Brotherhood in particular. We were faced with the situation of a large number of Brothers leaving the Society; everyone had to adjust to the new understandings of church and mission. During this period, despite the difficulties, the Brothers’ formation was updated with the introduction of a wider spiritual and pastoral formation, besides professional training. Since the IX General Chapter (1967-1968) there have always been some Brothers present at general chapters, and some of them have been elected as general councilors. In the same way, the last General Chapter reaffirmed: “that all offices in the Society be open to all confreres in perpetual vows…” (IDW 1, “Other Decisions of the XV General Chapter”, Resolution 2.7). Since 1982 there has been a period of consolidation regarding the Brothers’ vocation. In fact, in that year, the XII General Chapter approved the new constitutions and also gave specific orientations for Brother formation. According to the XII General Chapter (1982), the Brother formation program “must clearly be concerned with three main aspects of formation: 1) human development; 2) missionary and spiritual development; 3) technical training and further education” (Nuntius, XI, p. 586). In addition, the final document of the Assembly on the Brother Vocation (Nemi, 1994, Analecta SVD 70/ 1, pp. 86-92), gave certain orientations regarding the Brothers’ identity, spirituality and formation. Now it is time to ask: how far have these orientations been integrated into the Brothers’ formation program? Have all provinces and regions made a triennial evaluation of the program as recommended by the XIV General Chapter? The XV General Chapter (2000) confirmed the renewal process of the SVD Brotherhood/Brother vocation and recommended to the entire Society: “Knowing the importance of Brothers in our Society, we recommend that all levels of administration continue their efforts to foster knowledge about the Brother vocation and promote its development in the Society” (IDW 1, No. 104). According to this statement, there is a new recognition of Brothers; they are appreciated because of their importance in and for the Society. This importance, although not explained, lies not only in the Brothers’ services. Rather, it lies also in their consecrated life, as laymen whose presence enhances our SVD community. They remind the church in general and the Society in particular of our complementarity as clerics and Brothers in mission: “There are different kinds of spiritual gifts, but the same Spirit gives them. There are different ways of serving, but the same Lord is served” (1 Cor 12, 4-5). In many SVD communities, Brothers stand out for their sense of welcoming, their participation in community life and their spirit of prayer. In addition, through their different services and professions, Brothers also contribute to the self-reliance of the Society and keep its members aware of this issue. The XV General Chapter also made a recommendation regarding the Brothers’ mission: “They are encouraged to choose and to become professionally competent in ministries which are directly part of the fourfold prophetic dialogue and of the characteristic dimensions of our SVD commitment” (IDW 1, No. 104). A large number of Brothers are still doing “traditional tasks and services” within some larger SVD communities. This deserves to be appreciated. But how can Brothers better integrate the SVD characteristic dimensions in the context of the fourfold prophetic dialogue in their life and ministry? Both the fourfold prophetic dialogue and the characteristic dimensions apply to all members of the Society. Thus, for example, a Brother can participate in a weekly Bible sharing or promote justice and peace among the members of the community. How can Brothers do more to live out prophetic dialogue in their daily lives? Let us take a look at the Gospels. They present some telling examples where Jesus approaches people, passes through the towns (Luke 19, 5), and sits at table with publicans (Matt 9, 10-13). In all these personal meetings Jesus asks questions, listens, calls people by their name and spends time with them. His example inspires us to start with small steps in reaching out to faith-seekers, to those who are poor and marginalized, to people of other cultures, and to followers of other religious traditions. How can Brothers who live and work closely with people integrate further the characteristic dimensions within the fourfold prophetic dialogue? We know that a considerable number of Brothers work in human development, in education, in pastoral activities, or in other apostolates such as formation, health-care, and communication. Even when these services are well done, it would be better to analyze how, through them, brothers can reach out to faith-seekers, to the poor, and to people of other cultures and religions. In other words, how do Brothers, through their commitments, help the poor and marginalized become better organized? How do their pastoral activities lead Christian communities to reach out to faith-seekers and to create a welcoming atmosphere? Can they say that their work helps people to carry out their mission in the world and is done in a spirit of prophetic dialogue and with respect for people of other beliefs and cultures? As missionaries, Brothers should also be more aware that the first goal of our mission is to give witness to the Kingdom of God. This is done through the witness of community life and through the missionary commitment to the people they meet in their daily activities. One consequence of this new approach to mission today is the need to cultivate an open mind, an attitude of observing what is going on in the world in the light of the Word of God. “The changed and changing context of mission makes even more urgent the task of renewing our missionary response” (IDW 1, No. 34). In this regard, Brother candidates need an appropriate formation that deals with the new challenges and demands of mission today. The following orientations are meant to be a help to achieve this goal. “The pastoral care of vocations remains one of our most important responsibilities, especially since the decline in vocations in some provinces has been a matter of concern among us for some time. Only a deep love for the Church and the Society together with a genuine enthusiasm for our missionary work will enable all confreres to cooperate in this important matter and so lay the foundation necessary for a renewed growth in missionary and religious vocations. On this foundation alone can direct vocation recruitment be meaningful and bear fruit” (Handbook for Superiors [HS], C1, 2.0). Accordingly, the pastoral care of vocations should not be left only to the confreres assigned to this task. Each confrere, regardless of his assignment, should be concerned with promoting vocations for the Society. This can be done through personal contact, through correspondence with youth, and most especially through the good example of one’s life. Sometimes young people would like to share their feelings and doubts about their faith, or they may ask for advice regarding vocations in the church. It would be a pity if we are too busy with our pastoral, social, or education ministry to attend to their concerns. There are various ways to help prospective candidates discern God’s call: vocation brochures, personal contacts with the SVD vocation director (s), vocation reflection groups, and retreats. “When someone feels himself called to special service in the Church, he is in need of the kind of help and guidance that lets the missionary and religious vocation be discerned, grow and come to maturity. Hence, from first contact the prospective candidate should receive full information of the two ways in which missionary religious life/service is lived in our Society, Brother and priest” (HS, C1, 4.1). With regard to the Brother’s vocation, “a number of social, historical and religious factors make the Brother’s vocation seem out of tune with the times. 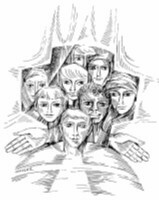 Here we have to promote the understanding that the Brother’s vocation is rooted in the spirit of the gospel and meets with many of the expectations of youth today” (Witnessing to the Word [WW] 7, Doc. IV, No. 2). The importance of the Brother’s vocation comes from the very nature of the Brotherhood. Thus, its value is not in relation to the priesthood, but, according to Vatican II (Perfectae Caritatis 10), is in itself, a genuine expression of consecrated life, a complete vocation. Since the Brother’s vocation is little known and even less understood among the faithful, we must make resolute efforts to familiarize people with it. One of the ways of achieving this would be to make prospective candidates avail of written materials such as: pamphlets and brochures that give concrete examples of SVD Brothers. Reflect upon his call to the mission of the church and the SVD. Be willing to grow both in human terms and in the spiritual life. Come to an initial understanding and appreciation of the religious missionary life in general and the SVD in particular. Clarify his decision and suitability to join the SVD. Grow in his relationship with God. Understand and appreciate the many and varied ways in which the church fulfils her mission. Regular contact through correspondence and/or personal interaction with the candidate. Providing contact with SVD communities (where possible). Providing pamphlets, calendars, newsletters, etc., as means of information and inspiration. Getting to know the candidate’s family, developing a relationship of trust with the members of the family, and raising questions about the SVD and missionary life. Involving the pastor of the candidate’s parish and the local leader/catechist in evaluating the candidate. To improve recruitment for the Brotherhood, it would be advisable to exchange information and other materials related to vocation promotion through, for example, e-mail among the different provinces and regions. Regular involvement of some Brothers in final vows in vocation promotion is recommended. It is also suggested that Brothers in final vows visit our formation houses from time to time. As far as possible, a Brother should be part of a vocation promotion team. In some provinces, “a year of introductory formation is sometimes required before philosophy or college or its equivalent. This is occasionally referred to as a “propaedeutic year”. While it may be considered a part of the pre-novitiate formation program, this year should not be referred to as a postulancy year” (HS, C2, 2.3). However, in some provinces/regions, the propaedeutic is integrated into the postulancy. “In provinces where philosophy or college or its equivalent precedes the novitiate, the postulancy is often integrated into the last year or six months of the pre-novitiate program…” (HS, C2, 2.2). In some provinces and regions the postulancy program for Brothers is done together with the clerical candidates. The duration of this stage varies from province to province. Postulancy is a period when the candidate is helped to reach a more realistic discernment about his vocation. Having come to such a decision, he is expected to express his intention to proceed to the next stage of formation. The emphasis of the SVD postulancy program is on psycho-emotional growth. The other aspects of religious formation (human, spiritual, academic and apostolic), however, are addressed as well. The psycho-emotional aspect is very important, since it constitutes one of the essential foundations for making a free and mature decision to live one’s life as a religious missionary. Special emphasis should be placed on the study of and the reflection on human psychology. Appropriate conferences, group dynamics, tests and personal interviews with a professional are all useful means. In this context human sexuality and affectivity should be addressed. Proper guidance should be provided to a candidate who needs help in this matter. All these activities should help SVD candidates gain a deeper knowledge and acceptance of themselves. They should develop skills and abilities in interpersonal relationships, in view of our community and apostolic life. Signs of emotional difficulties should also be identified and dealt with adequately. This professional approach, along with proper spiritual support, will help the candidates come to a deeper discernment of their vocation. At this stage, the candidate is introduced to SVD community life. It is a time of discernment both by the individual and the Society regarding his suitability to become an SVD priest or Brother. It would be better that the candidate decides at this stage whether to become an SVD priest or Brother. Such an early decision will help provide clearer guidance for the candidate, especially regarding his profession. This will also facilitate the process of ongoing discernment (see also 3.2.2, under 3. Setting up a personal project for the Brother candidate). The program in the postulancy can be summarized in three words: INTEGRATION (community life, self-acceptance), SPIRITUALITY (spiritual life, discernment) and STUDY (academic, upgrading of language skills). Taking into account our charism of internationality, it is recommended that a candidate studies one of the Society’s official languages (or a second one if he already speaks one of them). To grow in self-knowledge, self-acceptance and acceptance of others. To overcome deficiencies of previous years of education at the spiritual, human and intellectual level. To experience SVD community and to understand better the nature of religious-missionary life. To familiarize oneself with the history, charism and spirituality of the Society. To prepare oneself for the next stage of formation and academic studies. To learn one of the Society’s official languages. Spiritual exercises (daily Eucharist, prayer, meditation, Bible sharing, faith sharing). Input and guidance on psycho-emotional aspects and human sexuality. Regular classes on: SVD history; SVD spirituality; biographies of Saints Arnold, Joseph, Blessed Maria Helena; history of the SSpS and the SSpSAP; Introduction to the Bible (Old and New Testament); counseling/psychology; liturgy; basic computer skills; study of languages. Pastoral ministry (youth ministry, religious instruction, hospital ministry). General awareness of the SVD vision and its global missionary activities, sharing experiences with different confreres. Personal interviews with the director of postulancy and regular evaluations. It is difficult to establish a general program for all Brothers, considering the diversity of interests, especially regarding professions and also the level of studies of each candidate. Some join the Society with specific professional training, while others still have to make a suitable choice. A personal project for Brother candidates is necessary where they constitute a minority, i. e., living among a majority of clerical students. Even if the Brother candidates are being trained separately from the clerical candidates, it is advisable to set up a personal project for each one of them, since very often their professional training is different from one to another. This project is required to counteract the tendency to subject all SVD candidates to the same curriculum. For example, at times, we insist that all do philosophy without taking into account that some of them have already chosen to be religious in a particular way as Brothers. A personal project is meaningful for a Brother candidate because it provides a plan to follow, a point of reference for evaluations, and a stimulus to develop his talents in the context of SVD life and mission. Furthermore, it enables the young candidate to grow in confidence and esteem for his vocation. This personal project is a kind of “road map” for the Brother candidate in which his preferences, talents and skills, along with the needs and priorities of the Society, are taken into account (see c. 515.1 and IDW 1, No. 104). It requires a personal accompaniment of the candidate, taking him seriously, and making him the main agent of his own formation. Although this personal project is initiated in the first stage of formation, when a candidate expresses his wish to become a Brother, it should continue through the other stages of the Brother formation program. The prefect/director of Brothers in collaboration with the candidate will draw up the project and present it to the formation board or to the competent authority for approval. An SVD Brother is a religious missionary and a minister, sensitive to the feelings and needs of others. As a member of the church, he gives living witness to the Good News. Essential to the proclamation of the gospel is a familiarity with the Scriptures and some formal study of current theology. It is, therefore, necessary that each Brother deepen his understanding of the Christian message and develop his ability to articulate it. “Brothers should be offered a suitable basic theological and missiological education in addition to their professional training so that they can enter more deeply into their vocation and work in catechetical and pastoral fields” (c. 515.2). Upon entering the Brother formation program, each Brother, in consultation with the provincial director of Brother formation is to develop a program of theological study. Normally, a period of one to two years is required for covering the basic areas of theology. In some provinces theological/religious formation comes after professional training. In line with the current tendency of several provinces/regions, unless there is an important reason, it would be advisable to have this formation before the professional training. Whenever feasible, Brothers should do their theological formation in institutes that provide this kind of formation for religious and laity. It is advisable that while doing their theological and religious formation, Brothers keep regular contact with their professional interests, either by specific reading or through practical work related to it. This is especially relevant to those Brother candidates who join the Society already with a professional diploma. Formators should pay attention to the fact that Brother candidates may have a schedule different from their colleagues who are candidates for the priesthood. This schedule might not allow them to attend all the activities of the community. Therefore, understanding should be shown by the formators and the community towards Brother candidates in this regard. Brother candidates should be aware of the need to be responsible for their freedom to manage their schedules. This is applicable also to junior Brothers (Brothers in temporary vows) doing their professional or practical training. To deepen one’s spiritual life and love for the person of Christ. To widen one’s academic and intellectual knowledge. To grow on different levels as a person. To integrate one’s knowledge with pastoral practice. Christian morality and the social teachings of the church. Aspects of pastoral theology and catechesis. Sociology, psychology, religious anthropology and politics. The novitiate is a time of profound discernment during which the novice is guided to clarify further his vocation and to build a solid foundation for a religious missionary life. The novice will take advantage of this time of discernment and reflection to confirm his choice with regard to the way he will serve the Lord in the Society, that is, as a Brother or a priest. “In principle, the novitiate for Brothers and clerics in our Society is made in common. Where it lasts for two years, the canonical year at least is made in common. Should there be difficulties, however, in having a common novitiate, it can be made separately” (c. 512.8). “The novitiate serves to mature and clarify a vocation. It provides a basic introduction to the following of Christ as outlined in the life and spirituality of the Society and in our constitutions; thus it leads one to follow him in an ever deeper way. Through a living union with the Divine Word and through life in community, a novice should come to understand himself more clearly and know our Society better so that he may make a mature and responsible decision about his vocation” (c. 512). Daily Eucharist and community prayers; meditation on the Scriptures; spiritual reading and exercises; Bible sharing. Living according to the evangelical counsels. Practice of the daily order; practice of detachment, solitude and silence; sharing and service in community; fraternal relationships. Cultivation of mission spirituality, sharing of experiences by missionaries. Study of the history, constitutions and charism of the Society and Christian spirituality. Personal reflection; psychological support; spiritual direction; fraternal correction. Community evaluation, shared reflection on the novitiate experience. “The years in temporary vows assist the further development of the spiritual life. They serve to dispose confreres to respond better to the claim God has on them through the evangelical counsels and to help them see more clearly the fields of work open to them in the Society. During this time each confrere should grow in the assurance that he will find human fulfillment in his vocation as a religious missionary. Thus self-reliance and balance, the capacity for community life and work, lively faith and readiness for mission should continue to grow during these years” (c. 513). This is a period of continued growth. As an SVD religious missionary, a Brother in temporary vows is expected to integrate personal prayer, meditation, examination of conscience, the reading of Scripture, and spiritual reading. He should regularly participate in community prayer and liturgy. Each Brother in temporary vows is to have a local spiritual director whom he meets on a regular basis. The placement of a Brother requires an active community which provides the ambiance for the young person to be alive and dynamic, expresses concern and respect for him, shows firm direction and challenges him when necessary. Such a community has a regular prayer life, promotes spiritual growth and is open and understanding. The prefect of Brothers in temporary vows is to meet regularly with each Brother. He should also meet with those who are entrusted with Brother formation on the local level and discuss each Brother’s progress. There should be a yearly evaluation of the Brothers’ performance by the director of Brother formation, by those in charge of his training and by the Brother concerned. Ideally, the Brother’s participation in the apostolate “is direct and people-oriented, and it calls him to take on more of a leadership role. While ministry through the more traditional trades is still to be encouraged, a Brother’s education must take into account both the wider variety of options for ministry which a Brother has, as well as the higher professional level that is demanded today” (Analecta SVD-70/1, 1995, p. 83). While stressing professional training, we should not forget that this training “should be in accord with the requirements of their respective countries; it should also bear in mind the missionary goal of our Society and its international character” (c. 503). There is also a possibility for Brother candidates to do their professional training in another country as recommended by the XIV General Chapter: “That, in order to foster the international character of our Society and to broaden one’s outlook, the practice of sending Brothers and seminarians to other countries for the post-novitiate theological or professional training, be encouraged” (Following the Word [FW] 5, 5.9). To acquire his professional skills. To grow in self-esteem and self-confidence. To grow in his religious-missionary vocation as an SVD Brother. Studies in a recognized establishment or institute. Study of/discussion on church documents on religious life, documents of the Society. Spiritual exercises (meditation, reading the Bible, recollections, retreats, spiritual guidance). Belonging to and participation in a particular SVD community. Learning to dialogue with people of other faiths and cultures. Guidance of the rector/praeses of his community or of his district superior; continuation of the discernment process so that he can prepare himself to make a life-long commitment to God in the Society. Regular contact with the prefect of Brothers in temporary vows and/or director of Brother formation and with the spiritual director. It can happen that a Brother candidate enters the Society with a master’s degree or with professional training. At this stage in temporary vows, he exercises immediately his profession, within or outside the SVD structures. Wherever he works, he should stay in an SVD community, since it forms an integral part of his religious formation. “At every stage of formation, Brothers dedicate part of their time to supervised social and apostolic ministry. The possibility of cross-cultural experiences and temporary mission assignments is highly encouraged during their formation” (c. 515, 3). The Brother may also choose to have a missionary exposure (OTP = Overseas Training Program or CTP = Cross-cultural Training Program) in another province. By its nature the OTP/CTP should be an option freely chosen by the candidate. The application should be processed by the Brothers’ program director and the house council and then submitted to the provincial council for the final decision. The purpose of OTP/CTP is to give our junior Brothers an opportunity to have a concrete experience of our missionary life outside their own socio-cultural context and to live out the international character of our Society. It is a period during which the applicant receives the opportunity to live concretely the charism of our community and to confirm, strengthen and assess his missionary convictions in a particular apostolic context. To expose the Brother to a concrete life and work in our own communities and missions, in a socio-cultural context other than his own. To help the Brother to mature in his missionary vocation. To develop the Brother’s talents and to stimulate fulfillment in his religious and missionary vocation. To encourage closer ties between the provinces/regions, as well as to cultivate and to promote our charism of internationality and multicultural living. To help the Brother appreciate a new culture and acquire a mature emotional balance by getting acquainted with the realities of the country in which he does his OTP/CTP. Be stable in his vocation. Have an appropriate level of emotional and spiritual maturity. Have sufficient professional skills or knowledge. Contribute to the missionary work of the host province/region. Provide an opportunity for the Brother to exercise his profession. Provide an ongoing experience of his role in the mission work of the Society. Expose them to new professional realities in another culture. As mentioned above, OTP/CTP is an option open to the junior Brother who chooses it in consultation with his formators. Instead of a missionary exposure outside of his home culture, the junior Brother may be given the opportunity to do a practical program within his home province/region or country (for one to two years) after having finished his professional training. This can help him develop his talents and skills in his specialization and also provide an opportunity for the Brother to practice his profession with confidence. We should bear in mind that at this stage the junior Brother is still in initial formation. Thus the community to which he is sent has the duty to provide a formative environment and to help him organize his schedule. There should be a balance between his work and other community activities. To make use of available opportunities to become more confident in exercising one’s skills. To learn how to integrate professional work with life in the community and with one’s spiritual life. To be open to the assessment of one’s formators, as well as other members of the Society in relation to one’s professional field and community life. Appropriate placement of the junior Brother for a practical experience, within or outside SVD structures. Accompaniment of the junior Brother by an experienced person in the field. Ongoing research through books, magazines and other means related to his profession. Community encouragement and interest in the junior Brother’s work. The junior Brother at this phase of formation will have regularly renewed his vows according to the time frame determined by our constitutions. Fully aware of the growth process he has undergone and internalized throughout the years in temporary vows, he now faces the reality of making his religious-missionary commitment to the Lord permanent by professing perpetual vows in the Society. “The immediate preparation for perpetual vows takes place under special spiritual direction. Conscious regularity in meditation and prayer, scripture reading and participation in the Eucharist must now confirm confreres in their response to the Lord’s call. In this way they are helped to make a final decision to dedicate themselves for life to the Divine Word in our Society and thus cooperate in his ministry of salvation” (c. 514). To integrate the various experiences and values encountered in the early stages of formation. To integrate one’s emotional and affective life into one’s religious-missionary commitment. To evaluate one’s capacity to deal with difficult situations and relationships, as a way of determining one’s fitness for living in community. To appreciate and consolidate one’s skills in various ministries. To affirm one’s capacity and fidelity to live the vows of poverty, chastity and obedience. “Confreres spend the time of preparation for perpetual vows in a house of the Society where thorough training and preparation are assured. Preparation for perpetual vows lasts six to twelve months” (c. 514.1). Input sessions, reflection on and study of the meaning of celibacy, poverty, and obedience. Reflection on the SVD constitutions and other church documents relevant to religious life. Regular spiritual direction, reflection/meditation and personal prayer. Appropriate dialogue regarding his first assignment in the light of the candidate’s abilities and the needs of the church and of the Society. “Whoever joins our Society must be ready to go wherever the superior sends him in order to fulfill our missionary mandate even if this entails leaving his own country, mother tongue and cultural milieu” (c. 102). “Confreres ordinarily receive their first assignments on admission to perpetual vows. They make known to the superiors both the country and the kind of work for which they feel themselves best suited. In making the assignments the superior general takes into account their health, inclinations and capabilities” (c. 116, 1). “Because of the character of our Society, confreres are appointed to various provinces according to the principle of relative internationality” (c. 116.2). Indeed, through our international and intercultural communities we give meaningful witness to the Kingdom of God (see IDW 1, No. 48). Therefore, those who have done their entire formation program within their home provinces/regions are encouraged to apply for an assignment to another province or country. At times, in certain cases, a Brother foreseen for a special task in his home province/region could be offered the opportunity of a missionary experience in another country for a limited period of time. Since Brothers give their missionary contribution mainly through their profession, it is advisable that they really exercise what they have been trained for. For instance, a Brother trained in carpentry should not be appointed to a province/region where this service is not needed or available. 1.0 Full availability to the church and the Society. “First assignments have always been an expression of our specific vocation: availability on the part of the confrere who is ‘ready to go wherever the superior sends him’ (c 102) . . . we are not the ones who give ourselves the missionary appointment. We receive it directly from the Society and, through it, from the church. For an individual to impose his own will on the superiors would both negate the meaning of religious profession and missionary vocation. From this we realize that ‘availability should be one of the most fundamental and basic missionary attitudes of our vocation’. This is what our constitutions repeatedly emphasize” (Nuntius XIII, p. 434, 2). Application for first assignment in our Society should be seen as an exercise of solidarity and co-responsibility for the well-being and development of our religious-missionary community (c 603). 2.0 Qualities of the process. 2.1 Dialogue. First assignment takes place in the context of dialogue wherein superiors respect the personal dignity of our members and members respect that same personal dignity by showing initiative and zeal for the achievement of Society goals as well as a readiness to accept the lawful authority of our superiors (c 602; 217; 218). 2.2.4 their academic or professional training, fields of specialization, degrees or certificates acquired, and so on (c 116.1; 517). 2.3 Candor. In making out their application for first assignment, confreres should be open and trusting; failure to be honest and candid in making known one’s true preferences and one’s real disinclinations is a serious mistake and can only mislead superiors and all others involved in the assignment making process. It is equally important to make known both preferences and non-preferences; it assists superiors if one indicates where one does not wish to be assigned for ministry (c 116.1; 218; 219). 2.4 Flexibility. Availability and adaptability are necessary to make rational planning possible in the Society (Nuntius XI, p. 432, 5). 3.1 The applicant may opt for a specific province if he has a definite reason for it, such as having done OTP there, having developed a special interest during formation years, etc. 3.2 The choice may be made for a country rather than a province when it has several provinces (like Brazil, Philippines, Germany) or when it is not part of larger language areas (like Angola, China, PNG, etc.). 3.3 For the generalate the assignments become easier if an applicant, instead of opting for a particular province, requests a language area, for example, French or English-speaking Africa, Spanish or Portuguese Latin America. This openness and flexibility have proven a great help in distributing the available personnel according to existing needs”. “The Society needs confreres willing to commit themselves to some specific areas of our SVD mission today such as: formation (initial and ongoing), vocation promotion, communications, education (schools, colleges, universities), SVD research institutes (anthropological/missiological institutes), finance and/or administration. Applicants interested in these areas are requested to give reasons for their choices and indicate their personal talents and interests in line with the above basic concerns of the Society. Since first choices cannot always be granted, those expressing their desiderata should, therefore, be willing to accept a different assignment, if called for. All volunteering for first assignments “should understand that they have as much chance to receive their third preference as their first. No one should be disappointed with a third choice” (Nuntius XIII, p. 473). Prior to appointing someone to a country or a ministry for which he did not volunteer, the generalate normally first consults the individual concerned. It does not do so, though, if he is appointed to his homeland (Nuntius XI, p. 432, 5).” For further considerations about first assignment and its procedures, please see also HS, C 21, 5.0-6.5. “Changes in the world and in the church, in the sciences and theology, as well as development in the different phases of one’s life, demand of each confrere and community continual study, development in one’s field and lifelong maturing” (c. 520). “Growth is a lifelong task” (c. 501), ongoing, because “we never reach the goal but are always on the way” (c. 523). Ongoing education and updating in one’s profession are the responsibility and serious duty of every SVD (Analecta SVD 70/1, 1995, p. 84). Ongoing formation builds on initial formation. In fact, there is a natural continuity from one stage to another. In this sense, during their temporary vows junior Brothers already have the opportunity to participate in workshops and meetings that are organized at provincial or district levels. The stage of ongoing formation lasts for life. It may be seen in two different ways: first, ongoing formation is the individual’s responsibility (through reading, attendance at workshops and conferences, etc.). Unfortunately, many Brothers are so “busy” that they rarely participate in ongoing formation. This situation needs to be improved. Second, ongoing formation is also the province’s or region’s responsibility, and superiors should provide adequate opportunities for ongoing formation. The XIII General Chapter stresses that “every province should set up a program for ongoing formation” (FW 1, III, F., pp. 74-75). The director of Brother formation should cooperate in formulating this program and in encouraging more Brothers to make use of the possibilities available. The Tertiate is another possibility to renew oneself; it should be encouraged (HS, C25). “The SVD mission with its specialized ministries and priorities calls for specialization; hence higher studies are an essential part of our preparation for mission. Consequently, superiors should encourage confreres with required talents and qualities to seek higher studies” (HS, C23). The Brother candidate is, of course, the first agent responsible for his formation. He should, therefore, be actively involved in his formation process. His involvement includes a growth in human, spiritual and academic aspects. “This growth is a lifelong task, a shared responsibility to be faced both by the individual and the community” (c. 501). The vocation director should be a confrere in final vows who shows his happiness in and commitment to the life and mission of the SVD. He should have the interest and ability to work with the youth and have sufficient insight to evaluate the suitability of candidates for the SVD. He is primarily concerned with the faith life of the person with whom he comes into contact. He invites them to grow in, and develop, their life of faith. He is also concerned about the family background of a candidate for our religious community. His task is to promote missionary vocations, particularly the vocations for Brotherhood and priesthood for the church and the Society of the Divine Word. He should be able to work in a team with other confreres, especially the formators, and be accountable to the provincial superior and his council. Meet with the individual Brother at the beginning of the program envisioned in the personal project to assess previous evaluations and to plan further steps. Meet with the Brother concerned at the beginning of each vow year in a goal setting interview. Meet on a regular basis with the Brother. Facilitate participation in training experiences. Assist the individual Brother in discerning a profession. Conduct the annual evaluation of individuals in the temporary vows program. Discuss with the individual Brother the annual retreat opportunities. Assist the Brother in setting up a program of theological studies. Provide guidance and evaluation, at least annually, of apostolic activities. Assist in the planning of the preparation for perpetual vows. Make sure that an adequate program of spiritual training is provided. Assist in the selection of the on-site mentors. He must be consulted about activities which occur outside of the Brothers’ community (e.g. parish activities, social services, practical experiences) in which the young Brother is involved. He should regularly provide the Brother in temporary vows with pocket money and ensure that he uses other funds of the community responsibly. The superior has the right to expect that the Brother in formation gives an account of his activities. A willingness to listen and a readiness to encourage. An ability to spot weaknesses and failings in order to help correct them. Occasional visits to classes or other activities in which the Brother is involved. A general readiness to help foster the individual’s growth and development by prompt advice, by a concern for his needs and difficulties, and by foreseeing and forestalling whatever may be negative. An ability to help the Brother deepen the understanding of his vocation. An ability to help him develop his appreciation of the SVD and his commitment to the mission of the Society. Help him grow in personal maturity and living faith. Guide him in deepening his understanding of his vocation and of the three evangelical counsels. Guide and encourage him in prayer and to enable him “to have that mind which is in Christ Jesus” (Phil 2, 5). Make him aware of his need for continual self-denial and simplicity of life. Challenge him to show forth in his whole way of living that Christ is “the way, the truth and the life” (John 14, 6), in spite of the difficulties he may encounter. According to the constitutions, a director of Brother formation is to be appointed in each province/region; however, where there are several provinces in the same country, usually there is an inter-provincial/national director of Brother formation (see c. 522.3). See that the formation program for Brothers is applied in the provinces. Oversee established Brother formation programs, to evaluate them, and to propose changes. Intervene when the Brother formation program is not followed or when personal growth is not taking place in the life of a Brother candidate or a Brother in temporary vows. Propose institutions and parishes as sites for formation and to suggest on-site mentors in these sites. Help the individual Brothers in formation to grow in their vocation in the SVD and to help determine their overall readiness for mission work. Coordinate proposals made to provincials for inter-provincial assignments during the formation years. Coordinate the annual/periodical gathering of Brothers in temporary and final vows. Coordinate the ongoing formation of Brothers. Keep contact with all the agents involved in Brothers’ formation, e.g. : through periodic meetings. Participate in the Provincial/National Formation Board. It is hoped that provinces/regions will undertake a review and revision of their respective formation programs for Brothers in the light of the present booklet. The task is not an easy one, but the value of the Brotherhood vocation for the world today is great. In spite of the many difficulties in understanding and supporting this vocation in the present ecclesial context (clericalism, juridical status of the Society, etc. ), a good formation program for our Brothers can help increase their number and improve the life and mission of our Society. Brothers should be considered more and more as partners who, together with their clerical confreres, carry out the common mission of our Society, through different and complementary missionary approaches. Brothers by their life and work play a prophetic role in the Society and in the church. They remind us all of the common dignity and fundamental Brotherhood of Christians: “you are all Brothers” (Matt 23, 8). Furthermore, Brothers keep alive the sense of authentic communion in our communities and our unity in diversity, which is expressed by their being consecrated laymen who live together with clerical confreres (c. 104). No doubt: “the absence of a Brother in an SVD community is an impoverishment of our religious-missionary witness” (FW 1, III, B., p. 68). It is important to remember that missionary work is not tied to ordination. Hence, in the light of the XV General Chapter (2000), we should keep in mind that Brothers make a great contribution to mission - through their professional work, social services and pastoral ministry. Being laymen, Brothers should be able to reach out to the laity, especially to those who hardly “put their feet in the church”, and to people of other religious traditions. These orientations will hopefully help impart to our Brothers a solid human, spiritual, social, professional and religious-missionary formation, taking into account what has been achieved up to now in the SVD. The final word is one of appreciation for the efforts of the different provinces and regions in updating and improving their formation programs for our Brothers. In the following pages I would like to share with you some information about SVD Brothers, gathered through personal research and through contacts made during general visitations. I also studied reports sent to the generalate as well as individual reflections of confreres. Although the current profile of the Brothers in our Society (12.5 % of a total membership of 6.050), may cause some concern, it is also worth noting that Brothers are engaged worldwide in different forms of service. In fact, there is a great appreciation for SVD Brothers by most clerical confreres and often also by the laity. Despite many constraints, Brothers make a great contribution to the Society, to the church and to civil society. This, they do by their witness to the Lord, especially through authentic Brotherhood and solidarity with people. The following statistics, compiled in 2004, intend to offer an overview of our Brothers in the Society today. I have classified them by zones and according to their year of birth. The numbers represent Brothers in final and temporary vows who live or work in their assigned provinces/regions, as well as novices. A short introduction about the Brothers’ work, personnel development, challenges and hopes precedes the statistics of each zone. There are some discrepancies between the Catalogus 2004 and these figures, since I did not take into account Brothers who have recently died or who were recently transferred. The new mission in Chad (TCD) and the new Central American Region (CAM) were, however, treated as separate entities. According to the Catalogus 2004 and other sources this zone has 55 Brothers in perpetual vows and only 3 in temporary vows. Two provinces are outstanding with regard to the number of Brothers: GHA (26 in perpetual vows and 1 in temporary vows) and CNG (10 in perpetual vows and nobody in temporary vows). The number of Brothers in practically all the provinces and regions is small. In Ghana and Congo there are many Brothers working in traditional professions: carpentry, agriculture, and mechanics. Others are engaged in fields such as education, pastoral ministry, administration and formation. One particular difficulty in the zone is the fact that only a few provinces/regions have a well- organized Brother formation program. The whole zone has only three Brothers in temporary vows, which represents a great challenge for the promotion of Brother vocations. Since the late 1980s, the ASPAC zone has had the highest number of SVD Brothers in temporary vows. In fact, it now has 63 Brothers in temporary vows out of the 82 in the entire Society. Furthermore, it is noteworthy that 46 Brothers in temporary vows come from Indonesia; 5 from Vietnam, 4 from India and 4 from the Philippines. All the other provinces and regions have fewer Brothers in temporary vows or none at all (see Catalogus 2004, pp. 461- 462). The ASPAC zone has had the majority of Brothers in the Society since 2003. However, we should also keep in mind that in this zone we have 2.565 clerics and only 329 Brothers (counting all those in final vows, temporary vows, and in the novitiate [cf. Catalogus 2004, page 454]). Many Brothers do traditional work: carpentry, mechanical work, maintenance of buildings and farming. Others are committed to education, administration, and health-care. A small number is involved with computers, communications and formation. In general, they have periodical meetings on national and zonal levels. A positive development is the fact that many provinces have recently organized or updated their Brother formation program. This zone has a long history of Brothers - especially those related to the printing press at Steyl. Many Brothers were sent to other continents during the last century. Yet, quite a few Brothers remained in Europe to run and maintain the Mission Houses (Steyl, St. Augustin, St. Gabriel, and St. Wendel). This situation changed radically after the Second Vatican Council (1965) with the general crisis in vocations and a decreasing population. In 1990, for instance, the European zone had 351 Brothers in final vows and 40 in temporary vows. From the latter group, 28 were in POL. In 2000 there were only 274 Brothers in final vows and 12 in temporary vows. This shows a decrease of 105 Brothers in 10 years! In general, Brothers in Europe work in the maintenance of our houses, carpentry, mission animation, administration, painting, formation, gardening and retreats. Dedicated to their work, they have a strong commitment to the community. Many of them have undergone difficulties or crises related to their original professions (the closing of printing presses, mechanical workshops, farms, bakeries, carpentry), which called for adaptation to a new reality. The low number of new candidates for Brotherhood represents a challenge, because many Brothers are still expecting a substitute or a successor. Here SVD Brothers also have a noteworthy tradition. We may remember that between 1890 and 1909 this zone received 177 Brothers - a rather high number when we take into account that in 1905 the entire Society had 551 Brothers and 288 priests. However, this reality has changed over the years, which we can see from the present statistics: the zone now has 115 Brothers in final vows and only 6 in temporary vows, while the clerics number 1.194. In this regard, we can say that the PANAM zone is the most “clerical” of the four zones: about 91% are priests and only 9% Brothers. The ratio of Brothers to clerics in the other zones is as follows: AFRAM 11% (Brothers); ASPAC 11.5 % and EUROPE 18.5 % (cf. the graph/statistics at the end of the report). Another consideration is that the Brother vocation has largely developed in only three countries: USA, Brazil and Argentina. In other countries like Chile, Paraguay, Mexico and Bolivia, there was a good number of Brothers in the past, but with time the number has diminished. Generally, in the other countries of Latin America, the Brother vocation never experienced any great development. This could be related to clericalism or to social values. There are some rather good programs for Brother formation (at least in some provinces), but there is a shortage of vocations to the Brotherhood. Communication between Brothers in the zone is not easy, since there are three main languages: English, Spanish and Portuguese. Many Brothers know only one of these languages, which renders the sharing of experiences or information difficult. Brothers work in different fields: administration, formation, carpentry, farming, education, pastoral ministry, health care, mission animation, Bible ministry, catechetics, communications, social work, etc. My impression is that in general they appreciate their vocation and do not have much trouble with clericalism. Their consecration is lived out with joy and commitment. * Brothers in final and temporary vows, including novices. * Changes were introduced into the Catalogus of 1984; therefore, these figures above include the number of priests, bishops, deacons and clerical seminarians/novices. However, since there is no distinction in the Catalogus between clerical and Brother novices, I decided to work out the average of Brother novices for a period of four years (1980-1983) to establish the estimates for the year 1985. I calculated that Brother novices comprised just over 10% (35) of the total number of novices (355) for that year. So we have: 3354+760+320 = 4434* clerics and 960+35 = 995* Brothers. New changes were introduced into the Catalogus in 1989. SVD membership was subdivided into priests (including bishops and permanent deacons), scholastics, Brothers in final vows, Brothers in temporary vows, and novices (without distinction between Brothers and clerics). This is the system still in use. In 2000 there were 5.113 clerics (3.769+1.007+337). To arrive at the number of Brothers that year (848), the reckoning used is: 677+134+37. In the total number of novices for that year (374), there were 337 (90%) clerics and 37 (10%) Brothers. The figures for 2004 are reckoned on the basis of the same calculation criteria. Indeed, taking the average number (1.026) of scholastics over the last 5 years (2000-2004), and the average number (105) of Brothers in temporary vows, we can see that the proportion between clerics and Brothers has remained close to 90:10. If this trend continues, Brothers will constitute in the coming years about 10% of the total membership (perhaps a little less). In fact, for the year 2004 Brothers in temporary vows numbered 82, while scholastics numbered 1.043. These figures indicate that 7.3% are Brothers while 92.7% are scholastics. The statistics on SVD Brothers may produce a rather negative impression because of their steadily dwindling numbers. However, I would like to add some points that should be taken into account in evaluating the whole situation of SVD Brothers. The life witness of Brothers is vital in promoting religious life. Thus, it is imperative to acknowledge those Brothers in the history of our Society who have provided a positive example of religious life, not only for the people among whom they lived and worked, but also for their own confreres and other members of the church. In recent decades many Brothers have assumed important leadership roles: vice-provincials, district superiors, rectors, praeses, and councilors. Here, it is worth noting that within the Society there is a widespread and explicit support for Brothers to take on these roles. Another positive sign is the revival of Brother vocations in some provinces and regions. Indeed, there is a good number of Brother candidates joining the Society in Indonesia, India, Brazil, Argentina, the Philippines and other countries. These are good reasons for hope. Now I expect that each province and region will use its creativity to renew its commitment to promote the SVD Brother vocation. SVD Brotherhood can be lived out happily in the midst of the numerous challenges and opportunities of mission in today’s world. I am confident that the present booklet on SVD Brother Formation will be a help in this regard.